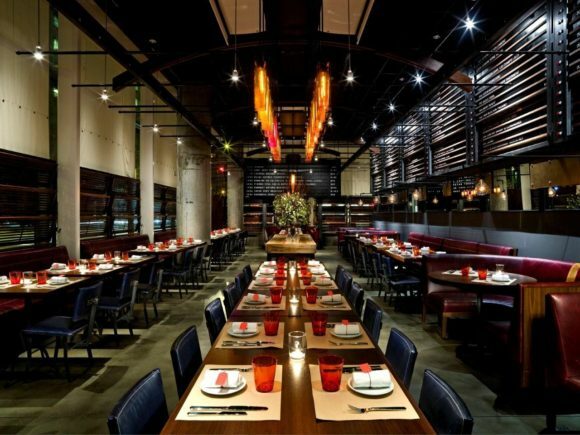 Following the 2008 economic downturn, fragile finances devastated restaurant private dining rooms’ bookings as both business and social party planning declined while the public tightened its belt and budgeted more carefully. As 2010 ends, there is good news… conditions have begun to improve. Hosts for social events are spending again, if somewhat more carefully, and corporate dollars are flowing more freely. Most restaurateurs and hotels report similar favorable scenarios, particularly in corporate functions. However, all agree that companies and individual hosts are now typically delaying booking their events until closer to the date while also moderating their extravagance. While they may be moderating spending, those booking event space are still looking for a wow factor. 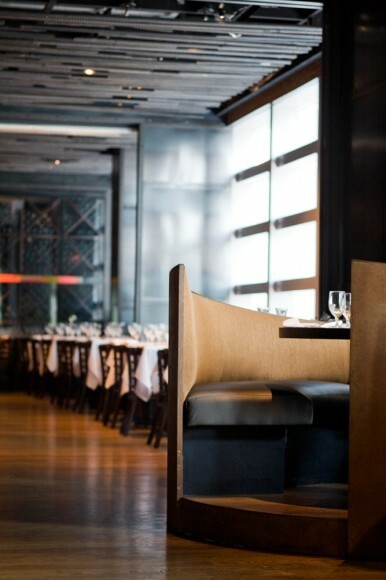 RN74, a Michael Mina restaurant located in San Francisco’s Financial District, is named for France’s Route Nationale 74 winegrowing region and emphasizes its inventory of French burgundy wines. More intimate sit-down dinners are held in a semi-private area. It has 18 seats at one long table and round tables for another 14. Across the central lounge, dividers and plants may either separate a larger section or leave it open for more casual standing receptions up to 150. “Corporate private party business has improved, and some companies have reserved the entire restaurant. These customers want casual, energetic receptions that emphasize drinks and beverages, served with passed hors d’oeuvres,” says Park. Hors d’oeuvres served at Landmarc at the Time Warner Center are enjoyed with a view of the fountain at Columbus Circle. This is just one of the fabulous New York City sites that has helped promote Marc Murphy’s multi-venue Benchmarc restaurant group and one place he’s seen an increase in business. Landmarc, located near Central Park, Columbia University and many midtown corporations, offers two private dining rooms-the East and West Wine rooms-which may be reserved individually or combined to accommodate up to 95 seated and 125 for cocktails. Benchmarc Events Director Christa Weaving reports multiple reasons for this year’s 43% increase in private dining and party business over 2009. She says, “Social party hosts plan and negotiate prices more carefully. To address those customer concerns, we are offering several affordable options. For example, we introduced a three-hour $25 per-person package with unlimited beer and wine. The Landmarc is also a visual and high-tech experience because of the gorgeous industrial design. Guests may view the wine cellars through exposed glass. In response to potential meeting or social event needs, an in-house IT professional maintains our audio-visual capability for modern electronic devices,” says Weaving. In the same building as Landmarc, A Voce Columbus offers their own view of the circle and Central Park to their PDR diners. Director of Private Events Dawn Martorana agrees that conditions have improved in Manhattan. She predicts stronger food and wine business this year. Their average party size is 50 people, and compared to 2009, larger groups are booking events. During the first three weeks of December, A Voce requires minimums for the mostly private corporate events. After that period, it is primarily social a la carte dining. To book business into what is considered to be a pure destination locale, many resort properties have felt compelled to devise creative marketing strategies. 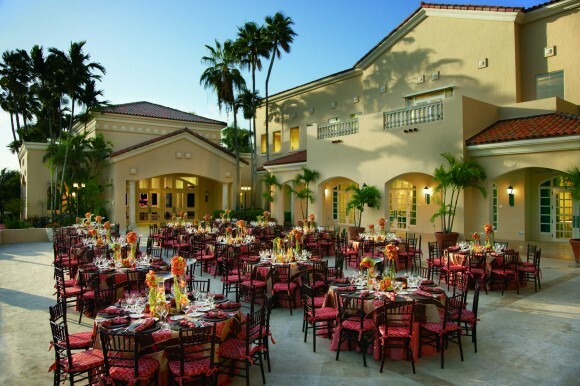 Annette Winkler, catering director of the deluxe Fairmont Turnberry Isle Resort & Club in Aventura, Florida, offers multiple private dining and party spaces suitable for any customer function. For parties up to 350 during the better weather months, Winkler recommends the Magnolia Courtyard. The scenic outdoor space overlooks the South Golf Course’s 18th green and has a 64-foot waterfall. Another suggestion, the Cascata Pool Deck, provides dim, romantic lighting for 75 to 150. “Our catering sales department is proactively marketing our party and dining packages. By using our ‘warm database’ of hundreds of customer companies, we can communicate directly with them. We have also customized party menus, from basic receptions to comprehensive functions and plated buffets,” says Winkler. 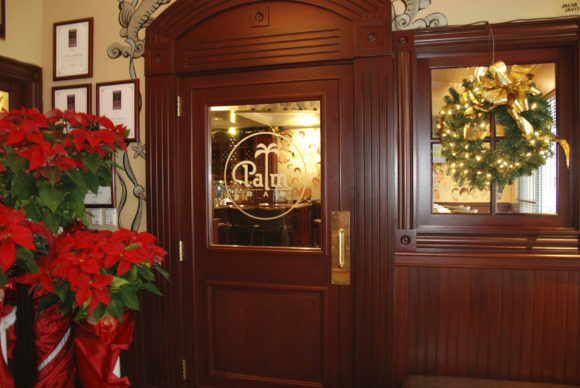 Further north and only steps from the famous Atlantic City beach and Boardwalk, the Palm is located in the Quarter dining/retail complex at the Tropicana Casino & Resort. General Manager Paul Sandler markets his dining room as a resort destination for both locals and visitors. 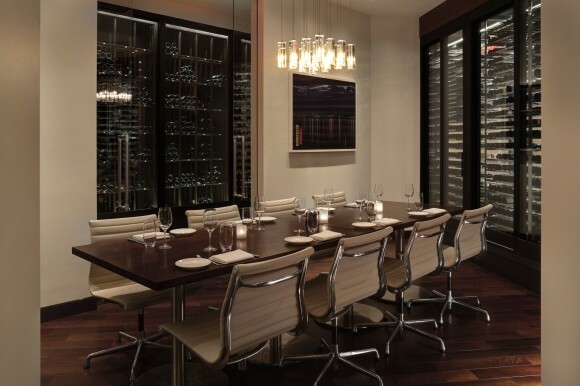 The private dining room seats 10 for intimate parties, but Sandler will book the entire restaurant space as a complete buyout event for up to 500. He states that most Palm functions are sit-down affairs. Buffets account for less than three percent of the event business. As the season of good cheer approaches, everyone should toast the more profitable party planning bottom line this year.